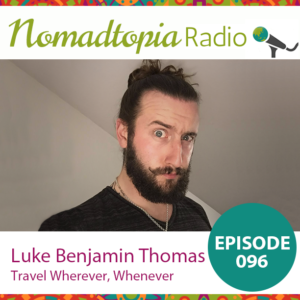 Since he decided he wanted the freedom to travel wherever, whenever, Luke has taken advantage of Working Holiday visas in a number of countries, learned how to talk to pretty much anyone, figured out what it takes to work from anywhere, and lots more. Don’t say no when people invite you to do things. Shop for flights and travel insurance. Don’t stick to tourist spots.